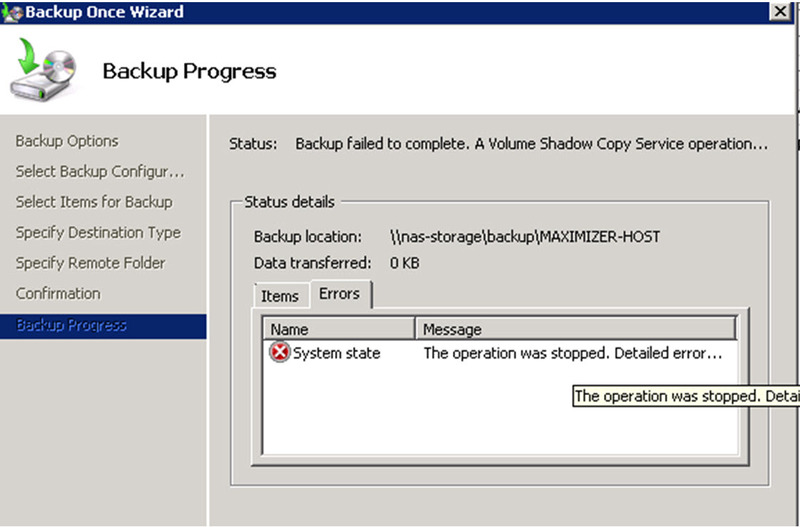 The backup operation that started at ‘‎2015‎-‎05‎-‎07T01:00:54.771000000Z’ has failed because the Volume Shadow Copy Service operation to create a shadow copy of the volumes being backed up failed with following error code ’2155348129′. Please review the event details for a solution, and then rerun the backup operation once the issue is resolved. One of the Hyper-V guests was running out of disk space.